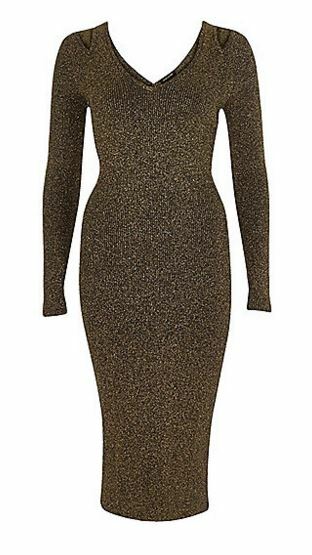 I got really excited when I first saw this dress, because it’s exactly the kind of thing I love: glamorous and dressy, but with long sleeves and a midi-length hem to balance out the tight fit. 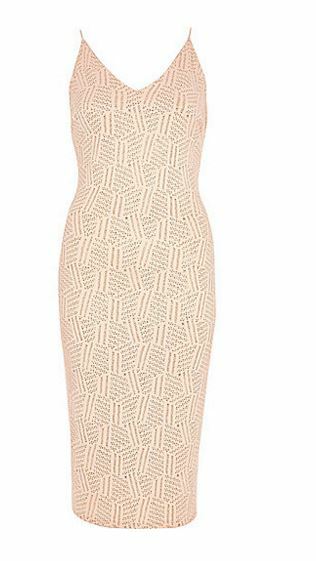 Unfortunately, though, River Island couldn’t just content themselves with creating an awesome midi dress, and have added cut-outs at the shoulders and the back. I know these kind of details are supposed to make the design edgier, and presumably appeal to people who like that kind of look, but for me they completely ruin it. I realise this makes me sound hopelessly old fashioned, but if it’s cold enough for me to want to cover my arms, I’m probably not going to want to expose my lower back and shoulders: so near, but so far!